Unique ideas around functionality only last so long in SaaS. Your competitors update their products, ‘stealing’ your killer feature. Inevitably, you end up swimming along together in a shoal and it’s hard to stand out. 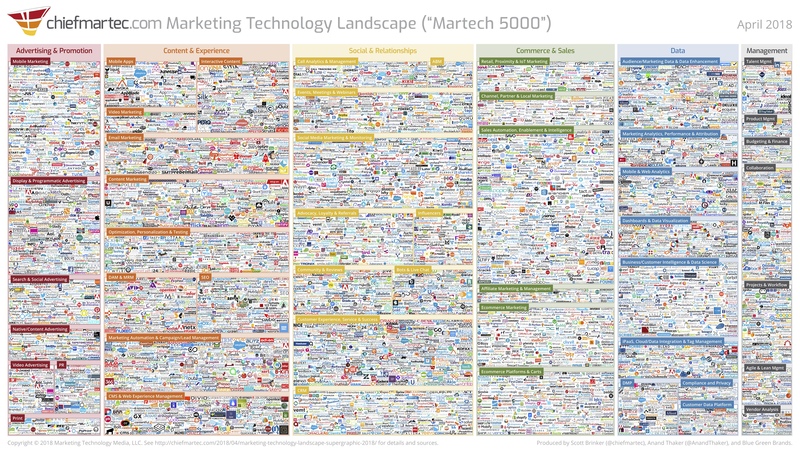 Most people have seen the MarTech 5000 infographic depicting companies competing in just one SaaS sector. If you haven’t, then check it out, it really brings home the point. With a brand, that’s how. The leading SaaS companies have grown up now and the rest of the industry needs to catch up. Consumer businesses have been leveraging brand power for over 100 years and today’s most successful SaaS companies are creating standout by doing this. SaaS market leaders have embraced the concept of the brand. By adopting a more creative approach, the most successful SaaS companies are using branding to create messaging and marketing that differentiates by being aspirational, exciting and emotionally affective. As part of their strategic business model these companies are building really strong brands by interweaving what they do with powerful organising ideas. We can compare this with belief systems, such as those for defining a philosophy or even a religion. Firstly, it leveraged the power of disruption, by latching on to an evolutionary shift in how things are done. HubSpot has caught hold of the shift from Outbound to Inbound marketing. Secondly, it seized ownership of its market segment by defining its class of SaaS software. HubSpot has assumed ownership of the Inbound Marketing cloud software space – it’s become synonymous with it. Thirdly, it creates content organised around a strong thematic idea and may adopt a strapline or slogans to project it. “From Inbound to Growth: HubSpot’s brand evolution” is one it has used. How can your brand create a ‘moat’ around your business in 2019? 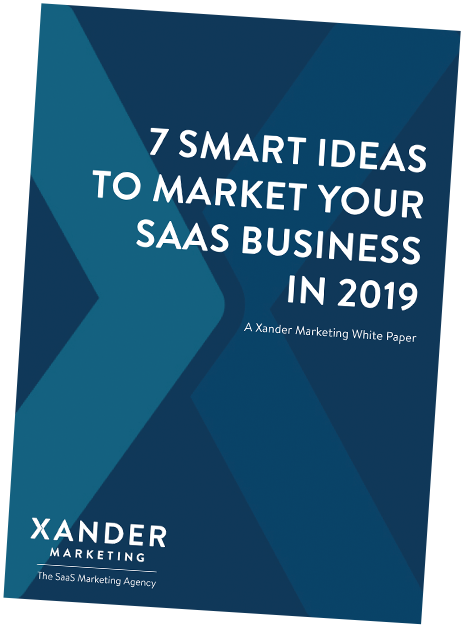 Xander Marketing creates and builds brands for SaaS businesses. Find out more here.